There are two gamedays in the offing this weekend in Southern Wisconsin. First, on Saturday (and every third Saturday of each month) in Burlington, WI, is the Plymouth UCC Gameday. This event runs from 11 am until 5 pm and generally features boardgaming, though sometimes there is an RPG or old school wargame. 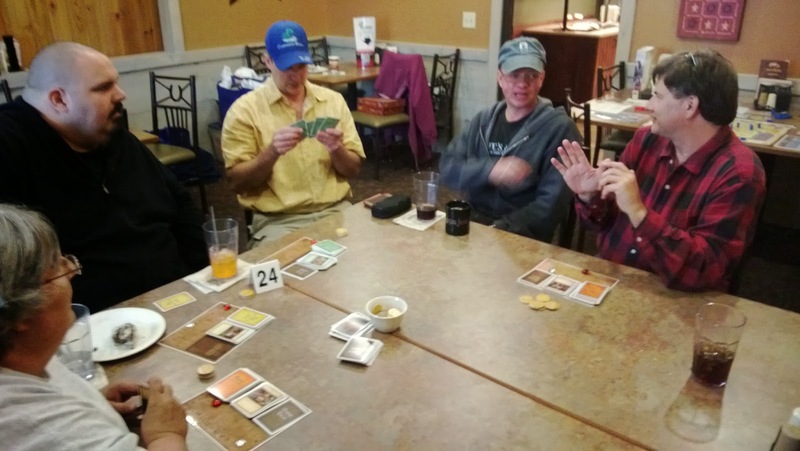 Then in Elkhorn, WI, on Sunday (and every third Sunday of each month) at the Pizza Ranch, from 11 am until 8 pm is A Gathering of Gamers that always features boardgaming. Both are a lot of fun. Saturdays are free but Sunday requires paying the twelve dollars for the buffet and unlimited beverages. Come join us!